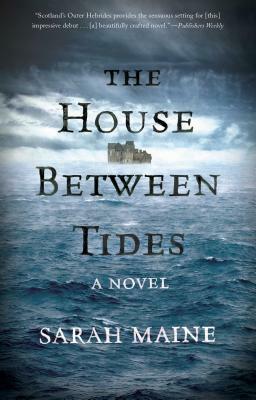 Debut novelist Sarah Maine delivers a well-plotted mystery that blends the past with the present of an old mansion in Scotland's Outer Hebrides. When Hetty Deveraux's last living relative dies, she becomes the newest owner of Muirlan, her family's aging estate in Scotland's Outer Hebrides. Fed up with her life in London and eager for a fresh start, she leaps at the opportunity to visit the old manse, dreaming of changing the historic building into a luxury hotel. But the realities of her inheritance--a crumbling edifice that can be accessed only when the tides are just so--leave her uncertain how to proceed. The discovery of human remains buried in the foundations further complicates matters, and sends Hetty on a quest to understand what really happened in her family's checkered past. As Hetty digs deeper into Muirlan's history, Sarah Maine moves The House Between Tides smoothly from past to present and back again. The constant throughout both time periods is the harsh and beautiful landscape of the Outer Hebrides, "where the skies were wide and open, and the island recognized only rules of its own devising." Maine brings the region to life on the page: birds swoop and soar on ocean breezes, waves crash on rocky shores, and sunlight slants through darkened clouds as Hetty and her ancestors attempt to lay claim to this untamed corner of the world. The stark setting proves to be the perfect backdrop for Maine's well-plotted debut. The novel weaves secrets from both past and present with a bit of a romance and the feel of the Outer Hebrides to build a mystery that is as eerie and complex as the house of Muirlan itself.